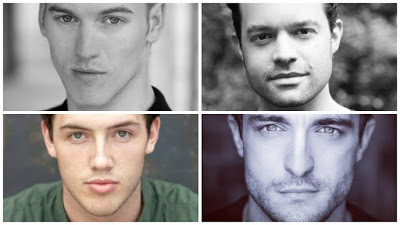 Matt Corner is currently starring as Frankie Valli in the UK tour of Jersey Boys; Simon Bailey's West End credits include Liam O'Deary in I Can’t Sing, Brit in We Will Rock You & Enjolras in Les Miserables; Declan Eagan was recently stand by Elder Price in The Book of Mormon's US tour & previously played Bob Gaudio in Jersey Boys in Australia and Matt Hunt is currently in the ensemble of Jersey Boys. Dayle Hodge is transferring from the UK tour to the West End production to alternate the role of Frankie Valli. Also joining the cast will be Mark Dugdale, Leanne Garretty, Will Haswell, Mark Heenehan, Joe Maxwell, Nathaniel Morrison and Dan O’Brien, who will join Nicola Brazil, Stuart Dawes, Lucinda Gill, Nicky Griffiths, Mark Isherwood, Ben Jennings, Chris Stoddart, Helen Ternent and Ben Wheeler. Michael Watson, Edd Post, JonBoydon and Gary Watson will play their final performances on Sunday 13th March.